How's Business reaches over 10,000 business readers a month. High quality business people like YOU! Contact us today at 509-838-4080 or info@spokanehowsbusiness.com and put this newsletter and website to work for your business. 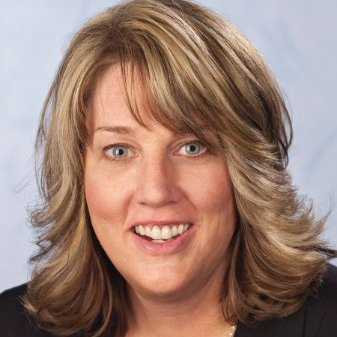 Pam Scott, PR pro formerly with Visit Spokane, and most recently with Red Lion Hotel Corporation, is moving back to Tucson after 21 years in Spokane. This is her last week at RLHC and on January 25, she will become AVP of external communications for The University of Arizona, her alma mater and where she first started in PR. Best wishes Pam! And thanks for all your great work promoting Spokane! 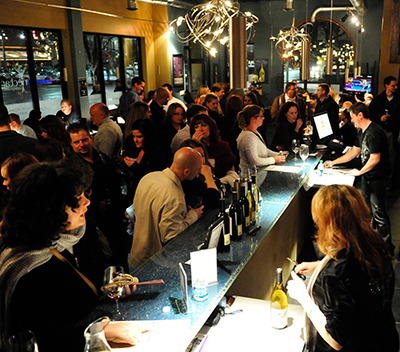 Nectar Tasting Room is celebrating 5 years of wine in Spokane. What started as a wine blog and a passion for Josh Wade has turned into a multi-business food and wine venture. "When I wrote my first blog post, I was just hoping more than my mom and sister would know who we were, now we are blessed to have spent 5 years introducing people to amazing Washington wine," says owner Josh Wade. The anniversary party is January 15 and 16 and includes live music, all five wineries in house to pour their wine, a free prize to the first 100 customers, and a limited 5 bottle anniversary 'case' to commemorate the weekend. Stop by, take a selfie at the selfie wall, and enjoy the various activities on Friday and Saturday. The doors open at Noon both days. Nectar Tasting Room is located at 120 N Stevens on the corner of Main and Stevens. De Leon Foods has opened their new store in the Spokane Valley. De Leon Foods, a minority owned, large grocery store with a deli/restaurant specializing in Mexican culture and foods, has been in operation since 2008 on East Francis Avenue providing truly authentic Mexican foods. 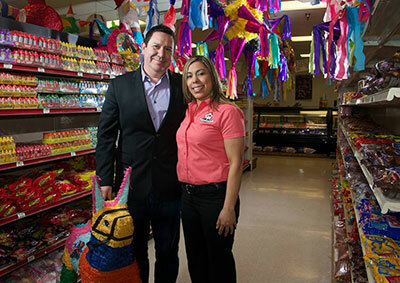 Owned by local husband and wife team, Sergio and Mayra De Leon, the new Spokane Valley store is at 15530 East Sprague Avenue on the southeast corner of Sprague at Sullivan. The new store is huge and will feature a beautiful deli/restaurant serving breakfast, lunch and dinner with the same high quality Mexican home style cooking cuisine. De Leon Foods in Spokane Valley also plans to expand their catering business from this location. The Spokane Valley store will feature a brand new tortilla machine producing 10 times the amount of famous Sergio's Tortillas daily than their machine in the Francis Ave store. Sergio's Tortillas will continue to use quality flour made from wheat locally grown and sourced in the Palouse of Washington State. Anthony's nearly famous blue and green Seahawks colored tortilla chips will also be made fresh in the new store. The award winners, selected by vote of Valley Chamber members, will be announced at the Annual Gem of the Valley Awards Gala on Friday, January 22 at the Mirabeau Park Hotel in Spokane Valley. The Gala will feature live entertainment by the Celestial Strings, a gourmet dinner and special 'Gem of the Valley' auction. A highlight of the evening will be the presentation of the 2015 Harry E. Nelson Citizen of the Year Award to Chuck Hafner, City of Spokane Valley Councilmember. The Citizen of the Year is chosen by past recipients of the award and current Valley Chamber executive board members. Spokane has a new up and coming communication consulting company uniquely named Wisdom In Words. 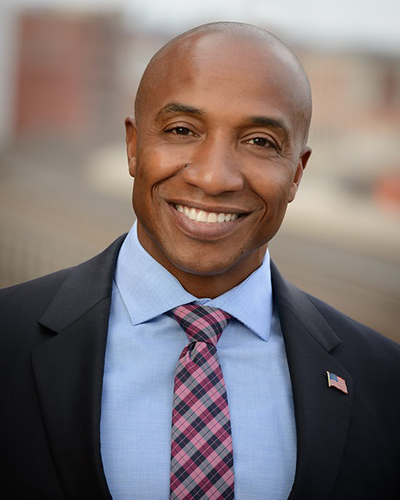 Phil Tyler founded the business in 2014 and has worked with organizations including the City of Spokane and SeaTac, The Better Business Bureau, eTailz, The Coeur d'Alene Casino and Resort, King County Housing Authority and many more. Phil facilitates courses for organizations experiencing a breakdown in communication and lack of trust. The curriculum teaches the importance of specificity, respect, empathy and genuineness. One and two day courses are offered as well as lunch and learns, executive coaching, annual staff retreat content and coordination, which all include team exercises to increase trust and decrease defensiveness. His facilitation is personalized to each organization and their needs and includes follow up and personal contact with each attendee. Phil was recently appointed to Vice President of the Spokane Chapter of the NAACP. As the newly appointed Vice President, he wants to bring about change and heal the organization from the damage it sustained recently. Since that appointment, he has been involved with community conversations to bridge the gap of police and communities, disparate treatment of communities of color, attended meetings to help find a new Chief of Police for the City of Spokane, and now chairs the committee to hire the interim Spokane Police Ombudsman. His background includes the US Air Force and he has earned numerous accolades throughout his military career, including a Provost Marshall Award. During his tenure with the Spokane Sheriff's Office-Jail Division, he was the first African American to be promoted to sergeant and lieutenant. He was also the recipient of the Trilogy Award from FBI-LEEDA and was the first 'member spotlight' for the FBI-LEEDA Insighter magazine. For more information visit go to wisdominwords.org, email lt.ptyler@gmail.com or call at 509-954-8392. 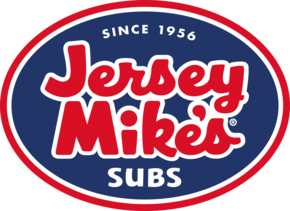 Jersey Mike's Subs, known for its fresh sliced/fresh grilled subs, will be hosting a fundraiser in Spokane starting next Monday, January 18, benefiting Sacred Heart Children's Hospital Sunflower Program. Franchise owner Jeff Gates and manager Mitch O'Hair will hold the fundraiser from Monday, January 18 to Monday, February 1 to support for children and their families facing potentially life-limiting diseases and injuries. The Sunflower program serves newborns to adolescents. The nation's fastest growing franchise is located at 4805 N. Division Street and 4919 S Regal Street, is circulating 10,000 direct mailers and passing out 5,000 coupons throughout the community offering a free regular sub for a minimum $2 contribution to SHCH Sunflower Program. Customers must have a coupon to be eligible. What do Data Analysis, Social Media Marketing, and Photoshop have in common? These topics all feature prominently this week in articles, tutorials, or workshops at lynda.com. Lynda.com is a digital resource now offered through the Library, providing tools for anyone from entry to executive level, to learn or advance skills in topics such as 3D animation, audio engineering, software development, web design, business, marketing, photography, and more. Access to the great learning opportunities at lynda.com normally requires a monthly subscription. This resource is available at no charge to Spokane Public Library users. Your lynda.com subscription is available from anywhere, you don't need to be in the library. You just need your library barcode and PIN. You do need to login through their portal: www.spokanelibrary.org/lynda. Numerica Credit Union will open its 19th branch next month in Post Falls at 775 N. Highway 41. The 2,700-square-foot branch will employ seven people. Leone & Keeble is the contractor. Numerica's branches are in the Spokane and Coeur d'Alene area, and the Tri-Cities and Wenatchee. 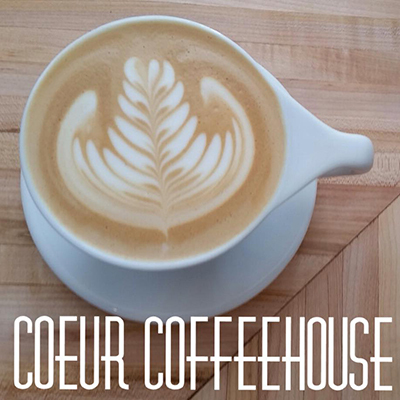 Coeur Coffeehouse located at 701 North Monroe Street has opened a second location at 228A West Sprague Avenue in downtown Spokane. Coeur serves coffee, hot chocolate and teas along with baked goods. Lawton Printing Services announced that it has successfully filled three key sales positions left vacant through the retirement of Brian Jones, former sales manager, and the departure of two other employees from the company. Laura Seimears joined Lawton Printing Services in June as sales manager, overseeing the sales team for the organization. A veteran of the printing industry in Spokane, Laura brings 30 years of expertise in client partnerships and solutions. Bethany Stokes has joined Lawton Printing Services as an account executive. A Denver, Colorado transplant, Stokes joins Lawton from the paper manufacturer, Verso Corporation, where she served for nearly 10 years as a sales analyst. Trevor Werttemberger recently joined Lawton Printing Services as business development and marketing director. Werttemberger has more than 20 years experience in marketing in the Spokane community, most recently with the Red Lion Hotels brand.